Be Captivated. Be Inspired. This Ketzel & Goodman-Santa Barbara Architectural design expresses California lifestyle at its finest. 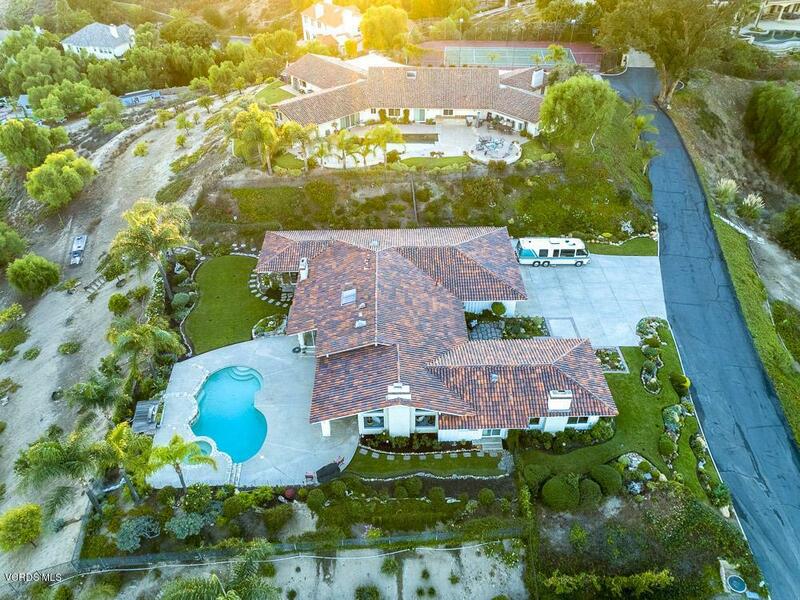 Rare 360' sweeping views w/ endless sunrises & sunsets, 4,100 sqft of single story living, secluded behind private gates, private helicopter pad in street, well maintained lush landscape, classic pool/spa, 3 gas fireplcs, 3 car finished garage, 1 acre w/fruit trees & vines, RV access, and upgrades throughout. 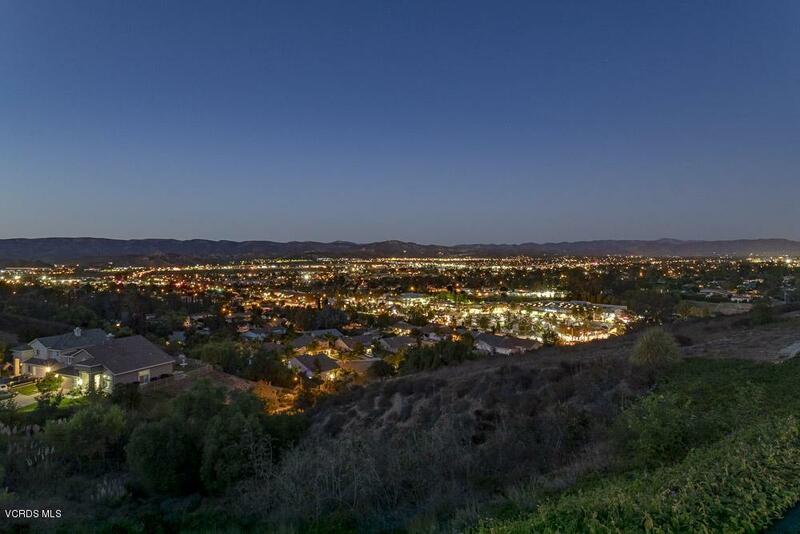 Bordering Woodranch & West Simi Valley, this quiet enclave of 5 homes is situated at the very top of the City, yet easily accessed by Madera. 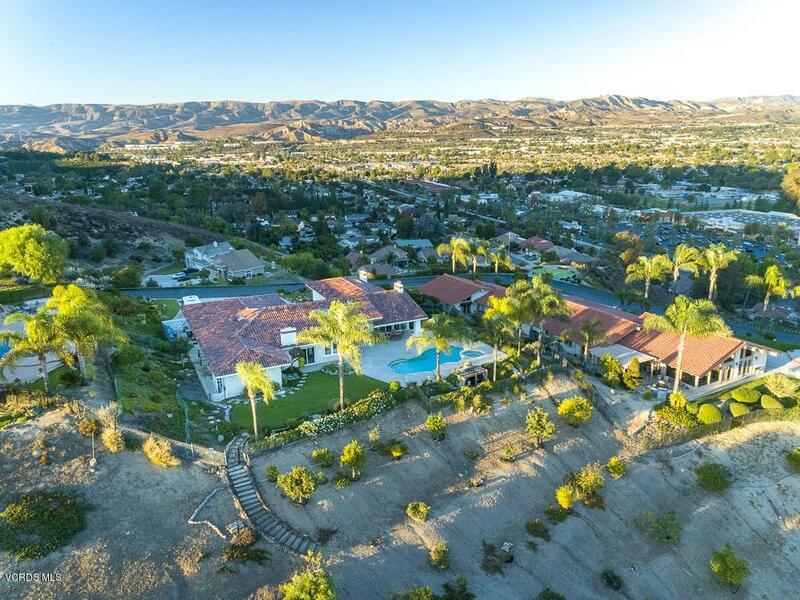 Views of Sinaloa Lake & Golf Course, Bard Lake, Wood Ranch to East Simi, Baseball field, Mountain ranges, City fireworks, & twinkling city lights! Windows offer various breathtaking scenescapes. A sprawling Master bedroom situated on its own private wing, features captivating views, fireplace, 3 closets incl a walk-in, Kohler jet tub, patina brass fixtures, dual sinks, stall shower, Travertine floors w/mosaic inlay. Four addtl well-proportioned bedrooms on adjacent wing! Newer dual pane windows & sliding doors, granite kitchen counters w/island,copper sink &Brass faucets, rustic cabinetry, Skylight, Travertine & much more.Near 118 & 23 Fwy, Reagan Library,Mt Mcoy, Equestrian trails! 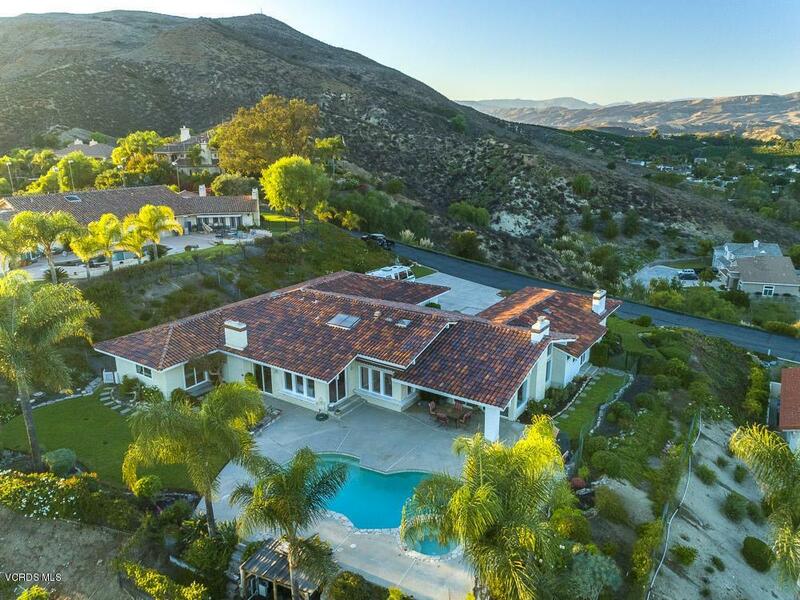 Sold by BRE#01298727 of Conejo Simi Moorpark Association Of Realtors. Exclusions Laundry Room Screen Door Driftwood in Garden Hanging Rack Above Kitchen Sink Dining Room Chandelier. Inclusions Greenhouse On Side Yard Pool Mesh Fencing. Listing provided courtesy of Lara And Natalie DRE#01298727 of Prime Realty, Inc..